It may not be the most highly publicized of the major sport drafts we have in this country, but most of you likely know that the 2013 MLB Draft (otherwise known at the Rule 4) took place between Thursday and Saturday of this past week. 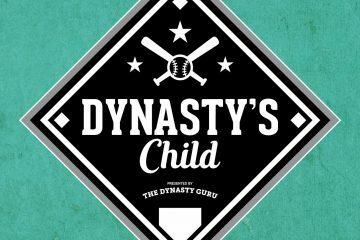 There’s still so much that we don’t know–mainly who’s actually going to sign with the teams that drafted them–but that’s not going to stop me from putting out a list of the guys you need to have your eye on from a dynasty league perspective. While it’s still very early for a list like this (we’re dealing with no professional data at this point), there are plenty of leagues out there who have their minor league dispersal drafts over the next month or two. In fact, TDG writer and part-time jazz singer Craig Goldstein had a draft that literally started last Friday, when only the first two rounds had been completed. Personally, I’m not a fan of having these drafts during the season for two reasons: 1) there’s so much we don’t know about these players, which we’ll make strides towards learning over the next six months, and 2) there’s already enough excitement during the summer. But that’s neither here nor there. Now, the disclaimers. These rankings are for fantasy value only, and my rankings are based off a standard 16-team dynasty format with only one catcher. Also, because we do not know who will and will not sign at this point, I am approaching the rankings with the assumption that everyone will sign–and for players who have long odds to sign, I will point it out in their individual write-ups. Bombs, bombs and more bombs. Bryant has the best power in the draft class, and he’s not far away from using it in Chicago. Between him, Javier Baez and Jorge Soler, there are going to be a lot more people in danger on Waveland Avenue in a few years. His fantasy upside may not be all that different than the next guy’s, but it’s the faster timetable that gets him the #1 spot. You may have been expecting someone else here, but when I get a chance to gamble, I gamble on bat speed. And Frazier has the best bat speed of anyone in this draft class. He’s kinda short and redheaded (which apparently actually matters to teams), but the guy can flat out play and can contribute across the board. Everything’s been said about Appel at this point. He’s a lock to return value, but I don’t think he’s a top of the rotation guy. Yea, it’s a bummer for his overall value that he ended up in Colorado, but he can still be an impactful fantasy starter there. Velocity is velocity, even in Coors, and he gets nice movement on it. There’s a risk he could end up the bullpen (more than you’d expect from a college starter taken with the #3 pick, but it’s not worth worrying about at this point. Moran could step in tomorrow and be an improvement over Placido Polanco at 3B, but the Marlins will likely take a little more time than that. He’ll likely be more of an all-around hitter than a power hitter, and possibly a slightly lesser version of what we think Christian Yelich could be at the plate. I loved what the Mets did with this pick, taking offensive ceiling over the alternatives. He may not have the true plus-plus power ceiling of a “typical” first baseman, but he can hit and there is power in the bat. Just how much will dictate whether this ranking is too aggressive, but I can see 25+ homers from him in his prime. The talent is there to put Stewart as high as #3 on this list, but the risk associated with high school arms (especially ones without huge secondary projections) brings him down slightly. And since it’s impossible to mention him without saying that he’s a Type 1 Diabetic, he’s a Type 1 Diabetic. In some ways, Renfroe could be what the Padres still think Rymer Liriano can become–a corner outfielder with power and speed, but questions on how much average he’ll hit for in the majors. The best shortstop in the draft, Crawford has the potential to contribute everywhere from a shallow position. And now that he’s with the Phillies, we’re going to hear a LOT of people compare him to Jimmy Rollins. Though statistically, that may not be way off base for his ceiling. Being a lefty in Fenway isn’t the easiest assignment, but Ball is very athletic and has a great feel for a change-up. He’ll need to work on his breaking ball, but he has the potential for a plus curve as well. Meadows certainly looks the part, but can the whole package come together to match the look? Meadows reminds me a lot of Jake Marisnick, which is either a good thing or a bad thing (depending on how you feel about Marisnick). Manaea is the big wildcard here, but I’m comfortable putting him this high because he’s shown dominance and his injuries this year, while a drag on his game, were not arm related. If he’s throwing in the mid-90’s, he’s a steal here. Anderson has a chance to hit and hit for some pop, but his fantasy calling card will be his speed. He’s unlikely to stay at SS, but last I checked, second base (his most likely destination if he has to move) isn’t exactly crawling with fantasy studs these days. There are toolsy players who might be able to hit, and then there are players like McKinney who can hit, but need to maximize their other tools to make an impact in the majors. Watch out for Kaminsky, who was a very stealth pick by the Cardinals (shocker, I know). If he was four inches taller (he’s 5’11”), he’d be an easy top-10 pick, but he’s a polished prep pitcher with a true out pitch in his curveball who might make quite a few teams regret that they passed on him. One of the top prep left-handed starters available in the draft, Clarkin has a strong fastball and developing secondaries in curveball and changeup. There is likely added risk of elbow problems with Stanek, at least as compared to your standard pitching prospect, but he’s a power arm who has the stuff to rival that of Mark Appel. High risk, high reward with Judge. 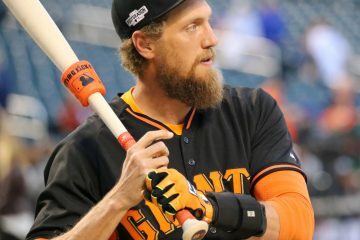 He’s a beast of a man (6’7″ tall) and he hasn’t shown his big raw power in games as much as scouts would like, but the upside is there for him to do Corey Hart type things with the bat. Bad weather and a knee injury cost Boldt most of his season this year, and it will likely send him to college, but if for some reason he does sign with the Red Sox, they got an absolute steal here, as Boldt could have gone in the first half of the first round if he had a healthy and productive spring. He’s a five-tool guy who is advanced for a cold weather hitter (he’s from Minnesota). Williams is all about projection and athleticism on the mound. There have been comps to Taijuan Walker thrown around, but just remember that for every projectable, athletic pitcher who becomes Taijuan Walker, five of them never even reach Double-A. Denney probably has the most offensive upside of any catcher available in this draft, but is not a lock to sign or stay at the position long-term. He could probably cut it at first base in the majors if he had to, but he wouldn’t be all that interesting for fantasy if he can’t stick behind the plate. McGuire is a much safer bet than Denney as a catcher, but has less upside. With that said, he could still hit for average with 15-20 HR pop if it all clicks. A very safe bat, but any lefty who may play half his games at Yankee Stadium and plays at a shallow position is worth paying attention to. Dozier was a reach at the 8th pick, but don’t write him off just because the pick was a stretch. This should not be Christian Colon version 2.0. High upside prep pitcher who should not have lasted all the way to the back of the second round. Lots of velocity, but can he develop the secondaries to go along with it? Wilson has a lot of tools for a college hitter, but has the Stanford stink all over him. Lots of questions, but also a good amount of upside across the board for fantasy. There’s not much power to Hart’s game, but if he achieves his ceiling, you’ll be carrying him for his speed anyway. A potential 30-40 steal threat. Like Reese McGuire but with less bat and more defense. The brother of D.J. Peterson, many scouts believe he has a higher upside than his older brother. He certainly has a better shot at staying at a better fantasy position. Not every draftee on this list gets private hitting lessons from Barry Bonds. Well, except Paroubeck who has plenty of potential to become a five-category outfielder in fantasy leagues. Where are you getting your information on Ryan Boldt? Definitely agree he would be a steal if the Red Sox can sign him but from every scouting report I have read he’s 5 tool sans power tool. Most scouts are comparing him to Denard Span. Actually all I see is “one scout” comparing him to Span. Is that MOST nowadays? Sorry, one compared him directly to Denard Span while others describe him as that type of player.. Haven’t seen any information to suggest he has much power, in fact projected to have below average power, so I was just curios what “five tools” he has. Does Moran have enough upside to be an above-average fantasy third baseman? I have the 8th pick in my dynasty league’s draft (includes 2013 draft picks and international free agents) and I’m trying to decide if Moran has enough potential value to be drafted that high. I assume the first 7 picks will be Appel, Gray, Bryant, Abreu, Tanaka, Frazier, and Stewart in some order. In that case would you take Moran at #8? Above average? Yes. Star-level? No. I think beyond the top-7, it becomes a toss up between Moran and Dom Smith with a few higher upside plays like JP Crawford and even high-riser Hunter Harvey in the mix.